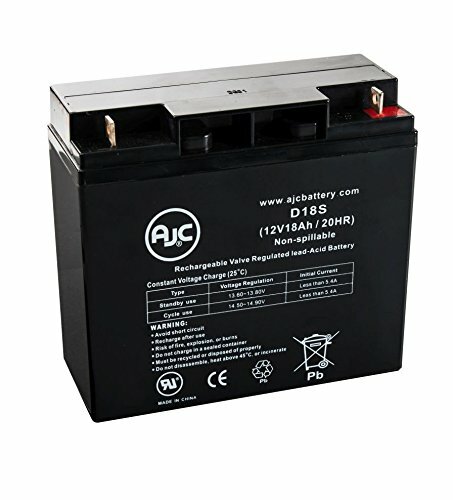 Ferno Mdt Corporati 129 LIFT CHAIR 12V 18Ah Medical Battery - This is an AJC Brand Replacement by AJC Battery at Bijc. MPN: Mdt Corporati 129 LIFT CHAIR. Hurry! Limited time offer. Offer valid only while supplies last. Battery is compatible with these Brands: Ferno. IMPORTANT: You MUST RE-USE: your existing cabling and hardware. These are replacement batteries only. Battery is compatible with these Brands: Ferno. IMPORTANT: You MUST RE-USE: your existing cabling and hardware. These are replacement batteries only. NOTE: It is your responsibility to verify the batteries being ordered match the batteries in your unit prior to placing your order. We are not responsible for incorrect orders. Chemistry: Sealed Lead Acid (AGM). Warranty: 1 Year. DISCLAIMER: Our products are not affiliated with or authorized by Ferno.